With half of the world’s 7.5 billion people still living in poverty, achieving universal human rights should be the core goal of global progress and prosperity. 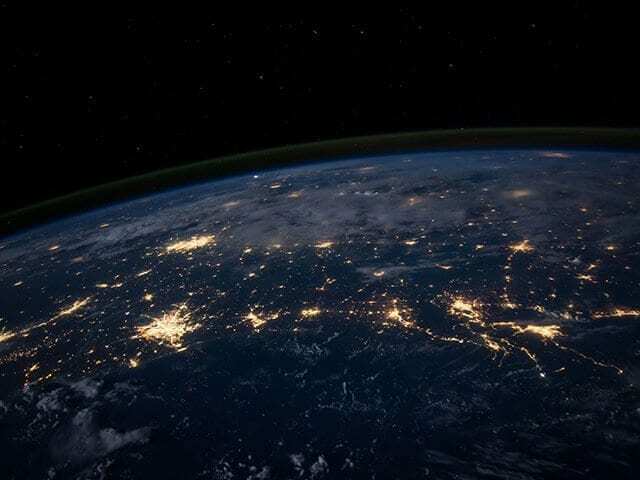 Technologies—including health, finance and commerce, energy and environment, and work and learning technologies—are constantly redefining how people interact, learn, work and live. In the wake of Human Rights Day, we want to celebrate the progressive MaRS-supported ventures that are using technology to empower and inspire. From life-saving health innovations to financial democratization, technology is proving to be one of the most powerful levers of social change. On April 24, 2013, the Rana Plaza collapsed and took the lives of 1,129 people in Dhaka, Bangladesh. Almost four years later, poor working conditions and inadequate monitoring and accountability measures continue to take their toll and plague global supply chains. Co-founded by Antoine Heuty and Manu Kabahizi, Ulula is a mobile platform that enables global supply chain stakeholders to measure their social, environmental and governance risks and impacts. By using the power of mobile connectivity to engage workers and gather feedback, Ulula aggregates worker data in a way that empowers and informs decision-makers across supply chains to understand and adjust the impacts of their operations. Ulula connects businesses, workers, communities and governments to de-risk operations and create value across global supply chains. Photo provided by Ulula. Oliberté is a lifestyle brand that supports workers’ rights in sub-Saharan Africa. Located in Addis Ababa, Ethiopia, the company’s factory provides opportunities to work in a safe environment that meets rigorous compliance standards. With a deep commitment to workers’ rights and the local environment and community, the Oliberté factory is Fair Trade certified and provides its employees a safe and comfortable space to work. Even on the Canadian home front, technology is fundamentally changing how workplaces function and hire. Ziversity has developed a recruitment platform that celebrates and empowers diversity in all forms. The Ziversity portal connects companies that are looking to recruit candidates who are diverse along gender, race, sexuality and ability with prospective employees who are looking to work in safe, relevant and accepting environments. By championing individuals with different identities, experiences and ways of thinking, companies like Ziversity are helping to combat oppressive narratives and develop a stronger Canadian and global workforce. The United Nations’ Sustainable Development Goal 3 aims to reach a number of global health targets by 2030: from improving women’s and maternal health and ending the epidemics of numerous global diseases to reducing the number of illnesses caused by environmental hazards. Like most of the UN’s sustainable development goals, reaching these targets will require multi-sectoral and globally cooperative solutions. Entrepreneurs will continue to play a critical role in these efforts by creating technology solutions that address the massive food and climate challenges ahead and improve global health outcomes in the long term. Jessica Ching, Co-founder & CEO, Eve Medical. Preventative health devices and care (in addition to treatment-related technology) will be vital to reducing the prevalence of infections and diseases. Eve Medical is a medical device company focused on developing products related to women’s health. 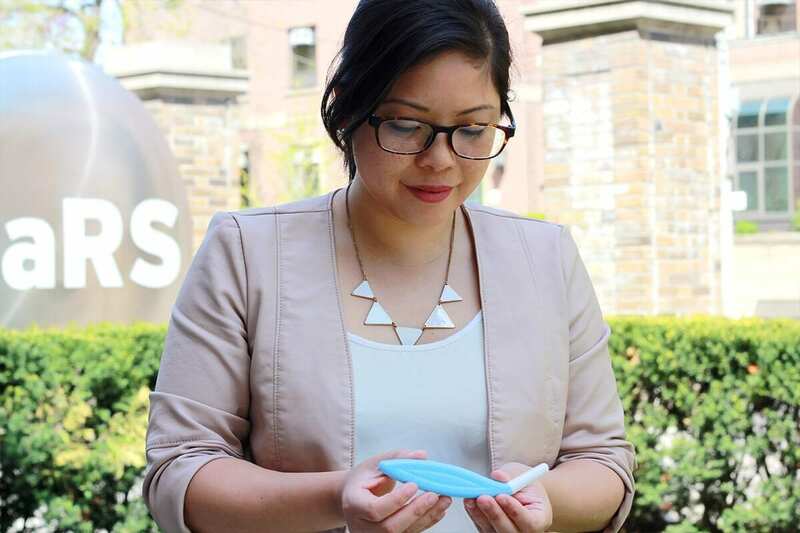 The company’s first product, HerSwab, enables women to self-sample for sexually transmitted infection screenings, giving them a means to oversee their preventative health in a comfortable, cost-effective and less invasive way. Lucky Iron Fish is a social enterprise focused on reducing the prevalence of iron deficiency and anemia, one of the most common micronutrient issues in the world. For every Lucky Iron Fish that is purchased, the company donates one to a family in need through their buy-one-give-one program. From a wider, systemic perspective, BlueDot analyzes, tracks and predicts the spread of infectious diseases by leveraging big data analytics and visualization. The company’s work informs decision-makers across governmental, corporate and medical fields, helping mitigate the risks and damage that infectious diseases cause on humans, governments and economies. The well-being of humans is inextricably tied to the well-being of our environment and food systems. Agri-Neo’s mission is to sustainably and safely feed the world. The company’s product, Neo-Pure, is a safe, comprehensive sanitizer that destroys pathogens on seeds and grains without altering the food itself. By better controlling pesticides in a way that preserves human and environmental health, companies like Agri-Neo will shape how the world produces and consumes food. 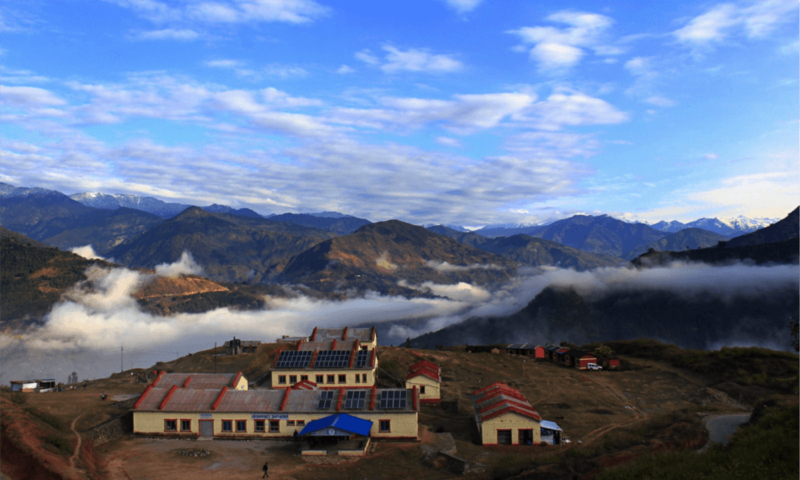 SunFarmer has brought electricity access to rural communities in Nepal. SunFarmer is dedicated to providing healthier and more sustainable energy services to rural and under-resourced communities across the developing world. The company has installed more than 630 solar panels globally over the last year. That’s enough energy to power 282,281 hours of computers in schools, 2,714 Cesarean section procedures in hospitals and pump 48 million litres of water. With 1.2 billion people still lacking access to electricity, SunFarmer is building the capacity of local communities to address long-term energy needs in hospitals, schools, farms and businesses. Technology can empower the masses by better curating how people use their skills, knowledge, money and minds. From social justice campaigns to socially impactful investments, a number of MaRS-supported ventures are working to give people more opportunities to better utilize their resources. Perennial has built a platform that connects global citizens who are looking to engage with social causes that need their support, helping them to take accessible and impactful action. By working with global organizations and institutions that are looking to deepen engagement with their supporters, Perennial is able to reach a wider variety of change-makers and tailor civic action to its users. With a platform built on Blockchain, Perennial is able to ensure secure, private transactions that protect the voices and actions of its users. Vox Pop Labs helps individuals and organizations to approach complex problems with simple, data-driven solutions. The company’s most notable application is Vote Compass, an award-winning platform that helped millions of voters to understand where they fit within the political spectrum in recent American and Canadian elections. By better informing citizens and making political action more accessible, Vote Compass has been a powerful driver for civic engagement. On the financial technology side, companies like Seedlify make entrepreneurship more accessible, enabling entrepreneurs to secure early-stage capital and giving businesses an opportunity to bypass traditional debt financing. Mylo helps users to take control of their finances and achieve their saving goals. Robo-advisors have the potential to amplify financial autonomy and literacy, and will have long-term and global effects as they become more advanced and wide reaching. Individuals who want to manage their wealth to align with environmental interests should consider CoPower. The company helps investors via its CoPower Green Bond, which is backed by loans to clean energy projects in areas including solar energy, geothermal heating and cooling, energy efficiency and LED lighting. Alternative lending and robo-advisory technologies have been amplifying financial freedom for business owners and individuals over the last few years and show no sign of slowing down. The Global Findex 2014 indicates that having mechanisms for saving, storing and transferring money is critical to ending global poverty. The next dataset will be released in 2017 and will help inform governments, banks, institutions and entrepreneurs where the gaps in financial inclusion persist. This is just a glimpse into some of the transformative work that MaRS-supported ventures are doing around the world. Across and well beyond North America, entrepreneurs will continue to sprout innovations that redefine how people interact, learn, work and live. If the well-being of all individuals—regardless of identity, socioeconomic status or country of origin—is the focus of this journey into 2017 and toward 2030 (the next target year for the UN’s sustainable development goals), technology can be a catalyst for inclusivity, capacity building and equality.